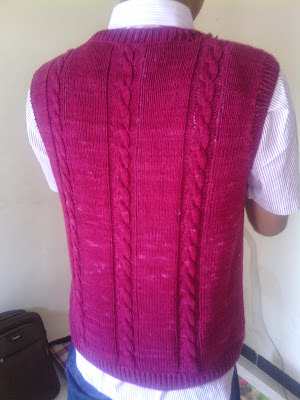 Vest for Hubby and Its Yarn - Life's Never Boring Beibi! 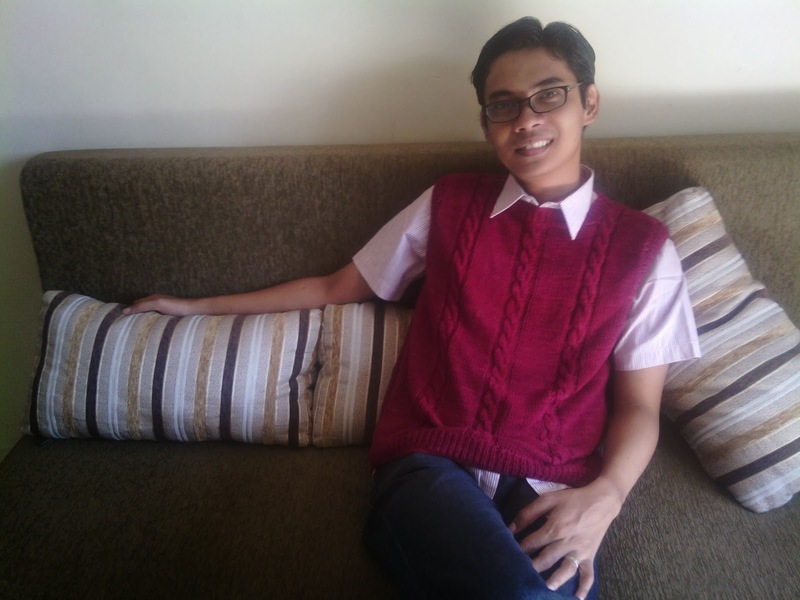 Proudly present Hubby's vest by me! First thing first, asking the people that you will knit what s/he want. I asked my hubby, what piece of knitting that he really want. He said, something wearable, not too difficult to me to knit and looks good on him. I've a thought for making him a sweater, like what mbak Ajeng did here, but I realized that how to seam the sleeves and other part will be a tough challenge to me. Then I chose vest and start looking some patterns and my eyes got stuck to this! It looks classic yet do-able, because I've already learned cable knitting before. My hubby also liked it directly, so we move to another step: YARN! If you're missing your favourite colour or always left empty handed in Poyeng's yarn, it's a sign for you that you have to be keep-updated. Follow the owner's twitter account, its Facebook page and their website. A little tips anyway, try to diligently click here, my happiness shortcut for their giveaway. Hihi. 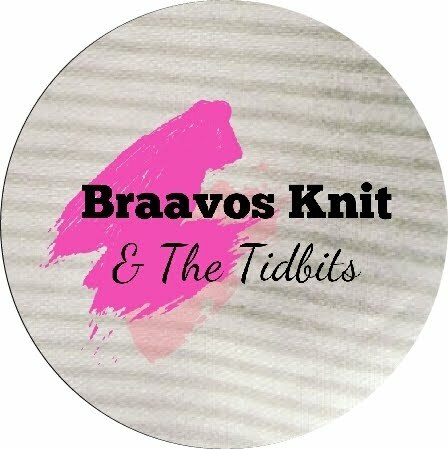 They usually give knitting tidbits that always encourage us to keep knitting on. 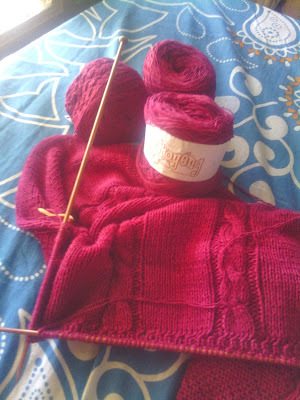 For finishing this project, somehow it was like a milestone for my knitting journey. It challenges my resilience, patience and procrastinating habit. Knitting sometimes just like a one side-started war with myself, with the needles as a weapon, pattern as a tactic map, yarn as the battlefield. The winning comes very sweet & delightful in the end. It is the reason why I want to knit more and more. "From his weapons on the open road, no man should step one pace away." Keep knitting fellas, and Hurrah!